Our curriculum encompasses elements directed specifically toward future educators, but the greater part of the program will be enriching for any woman who wants to study the depth of Torah in an environment that is also challenging textually. Women in Israel and abroad can participate in classes online, access material & sync with devices. To see how our online platform works, please take a look at our sample class from Spirit of The Law. Our program is designed to touch upon the depths of Torah wisdom with a rigorous textual approach. Check out our course list. Supported and guided by experienced staff, afternoon evening rotations in community service, tutoring or chaburot give students the opportunity to offer their skills as informal group leaders in our women’s beit midrash. Where can women come to learn and develop their textual skills while also immersing themselves in the Torah’s inner dimension? Shiviti is a place where light meets vessel--where you don’t have to compromise on textual rigor in order to taste the sweetness of the Torah’s soul...its niggun. Where can women come to study in a multi-tiered environment, where we work together, synergistically, to actualize our potential to study Torah and grow? Where do advanced students sit side-by-side with those who are concept-rich but still undeveloped in their skills, to explore areas of Torah together that are a chiddush for everyone equally? Shiviti is a place where we meet as equals, collaborators in our work to come closer to G-d and His Torah, each one contributing her strengths for the benefit of everyone. Where can we build a true symbiosis between learning center and community, where students give back to their environment by sharing freely of what they have with the women outside of our walls? Shiviti is a place where our students know that their greatest learning will come through initiating a Torah relationship with the broader community as an act of service. Shiviti...a home for women’s learning in Jerusalem where mind, heart, body, and spirit are cultivated and celebrated. For aspiring educators, we will help you maximize your ability to contribute to the Jewish future. And for those who come for themselves...you’ll see that all learning is meant to be shared. 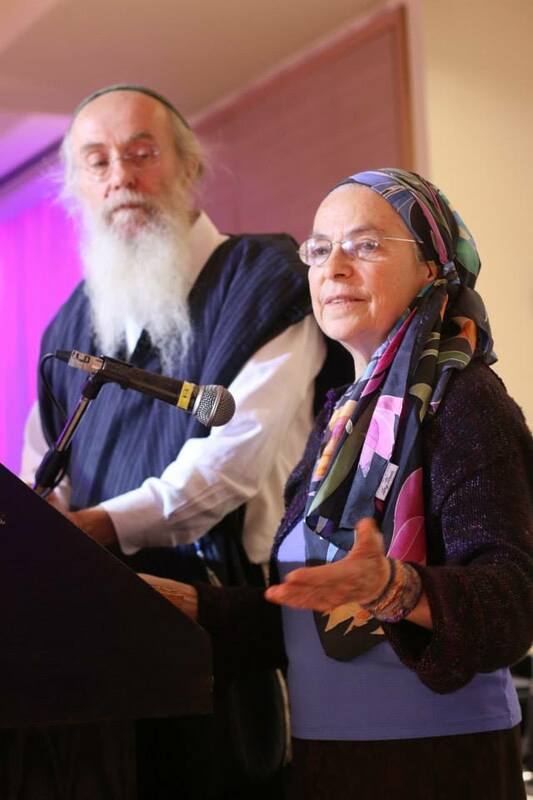 The Brodts have devoted themselves for decades to the spiritual needs and yearnings of Jerusalem’s seekers, and established Yeshivat Simchat Shlomo as a nexus from which a Torah of joy and connection has reached communities all over the world. Before his passing in Elul 5777, Reb Sholom z”l anticipated the opening of an educator’s course for women that would synthesize the depths of Torah with a rigorous textual approach. We hope to make his dream a reality.